The post Residential Neighborhood in France Adds Wooden Terraces appeared first on Freshome.com. 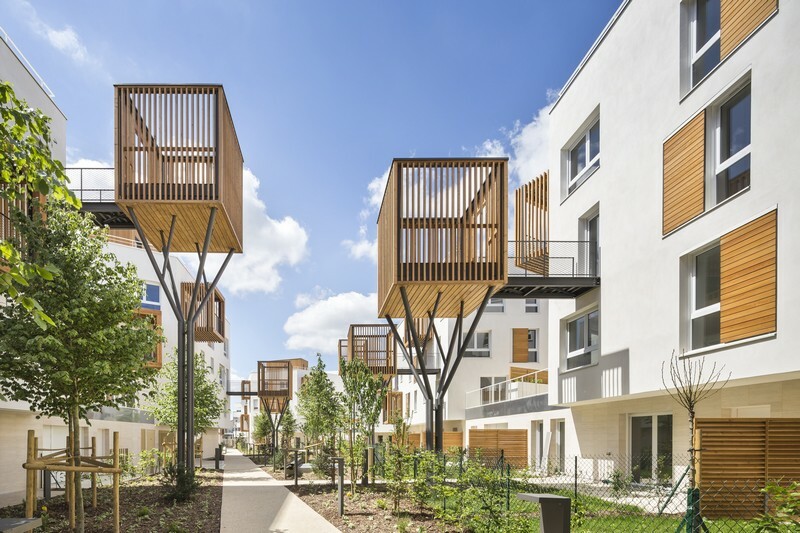 Brenac & Gonzalez & Associés completed the design of a residential building complex in Romainville, France. Integrated wooden boxes used as terraces disrupt the linearity of the residential units. This also brings a much needed feeling of warmth to the new residential neighborhood. “Fragmentation of built mass opens the way for a continuity with the surrounding context and the creation of visual perspectives, making this city block more porous and open,” the architects said. “This approach also alleviates the perception of density, resulting in quality apartments, with multiple orientations and limited direct views of the neighbors opposite,” they added.